$5.50 for a 16oz bottle at D&W BBQ Co. 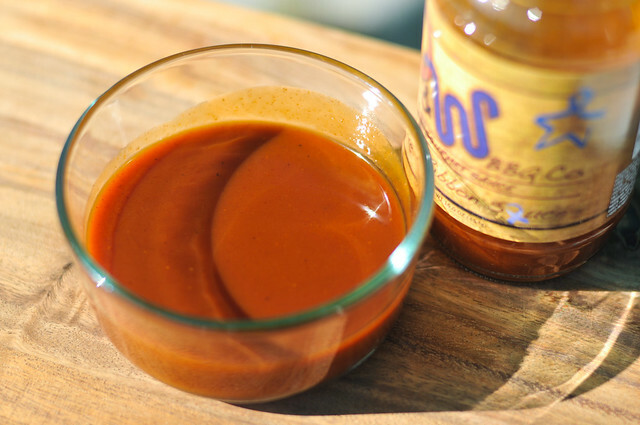 In the Texas tradition, D&W BBQ Sauce is tomato-based, runs thin, and is more tangy than sweet. 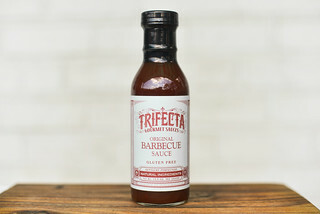 While it loses some complexity after being cooked, out of the jar it has great layers of flavor that were strong enough to hold up to Lone Star standards like brisket and sausage. 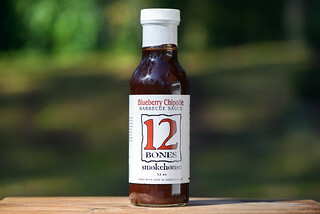 This sauce was generously sent to me by Deke Wright at D&W BBQ Company. 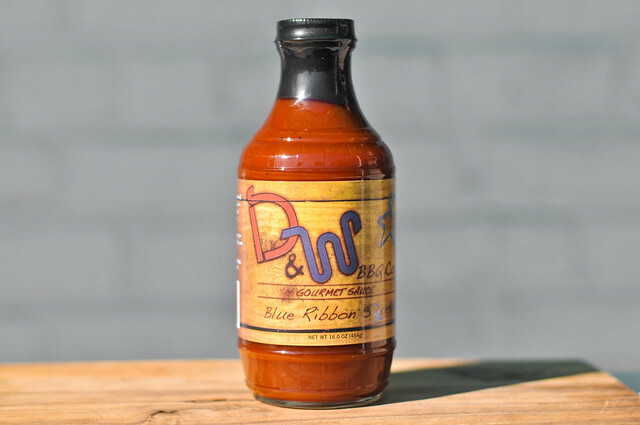 D&W is a small, family run barbecue sauce manufacturer out of Montgomery, Texas. The sauce is a family recipe passed down and refined through the generations. Unfortunately the family lost their matriarch in 2010 to fight with colon cancer. In her memory, a portion of the sale of each sauce is donated to the Colon Cancer Alliance and the Tina Wright Memorial Art Scholarship. You get a load of vinegar in the aroma department with this sauce. Through the tanginess, a faint ketchup and some Worcestershire peek their heads, but mainly the other ingredients are masked but the power of the vinegar. True to a lot of Texas sauces I've had, this one is tomato-based and runs thin. The rusty-orange sauce drizzles freely off a suspended spoon with no resistance. The sauce is incredibly smooth with just a few visible spices seen. Based on the smell, I was ready for this to be one vinegar heavy sauce, but I was pleasantly surprised on first taste. There's a strong ketchup component along with some onion, Worcestershire, and mustard that are all discernible. Vinegar still plays a large part, making this a tangy, but not very sweet sauce. There's also just a hint of spiciness that only comes out after the sauce leaves you tongue. I always worry about a thin sauce used as baste, but D&W preformed very well. While it needed an extra coat or two, the sauce did cling to the chicken, thickening up as it cooked. It baked in well and ended with some nice, spotty caramelization to make a fine looking piece of chicken. While it cooked very well, the flavor did not perform to the same degree. 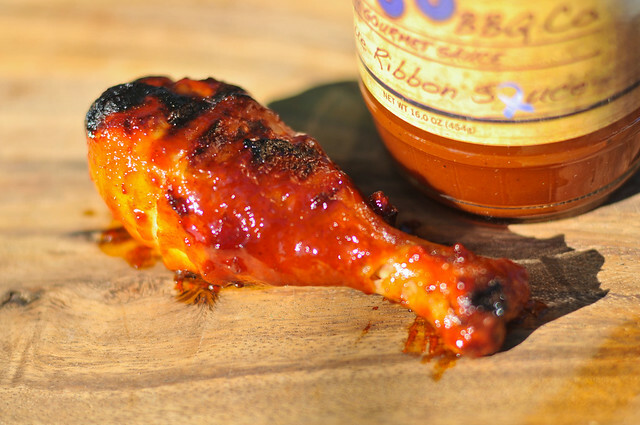 The vinegar that was strong on aroma became front and center, creating a tangy chicken leg, but not much else. While I really like the layers of flavors when eaten out of the jar, the sauce was somewhat one-note after being cooked. In the Texas tradition, this sauce is tomato-based, runs thin, and is more tangy than sweet. Out of the jar, it has great layers of flavor that were strong enough to hold up to Lone Star standards like brisket and sausage. 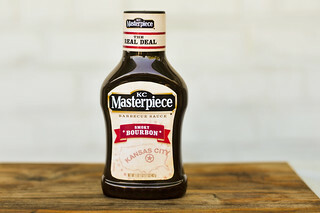 As a baste during cooking, the sauce loses some of the complexity, so I'd stick with it as a condiment , which it seems like it was designed to do very well.